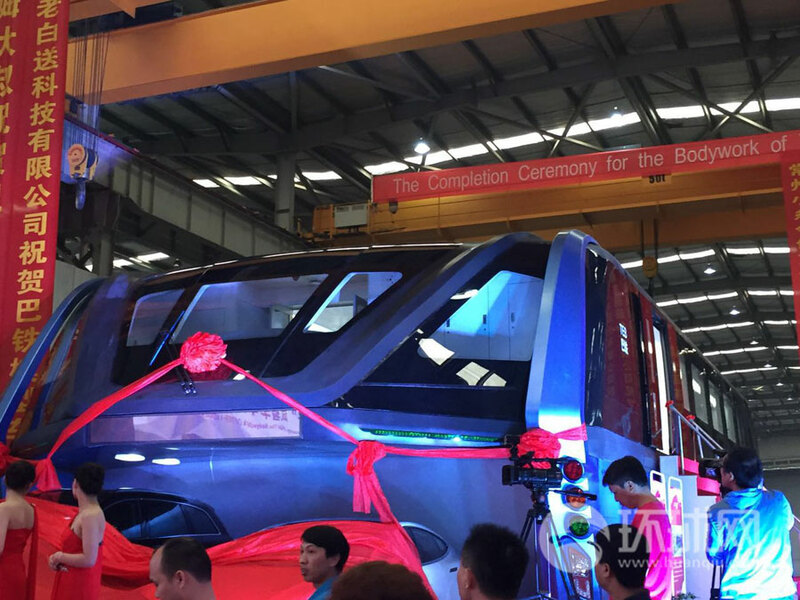 The "straddling bus" or "tunnel bus", which is designed to ease traffic congestion in cities, has been put into production in Changzhou, in east China's Jiangsu province, according to a report by huanqiu.com. Earlier models show each passenger section of the bus will be 22 meters long, 7.8 meters wide and 4.8 meters high, with 55 seats. Most importantly, the hollow space under the bus allows other vehicles to pass underneath which greatly improves the use of roads with limited space, easing traffic congestion. The report said the Transit Explore Bus or TEB will be comprised of four passenger rooms on average, and it can be modified according to road conditions.